According to Bisnow, student housing saw $10 billion in transaction volume last year. While the student housing sector saw immense growth, there are still issues with obtaining affordable housing opportunities for students both on and off college campuses. Here are four things to watch in the student housing market for 2019. 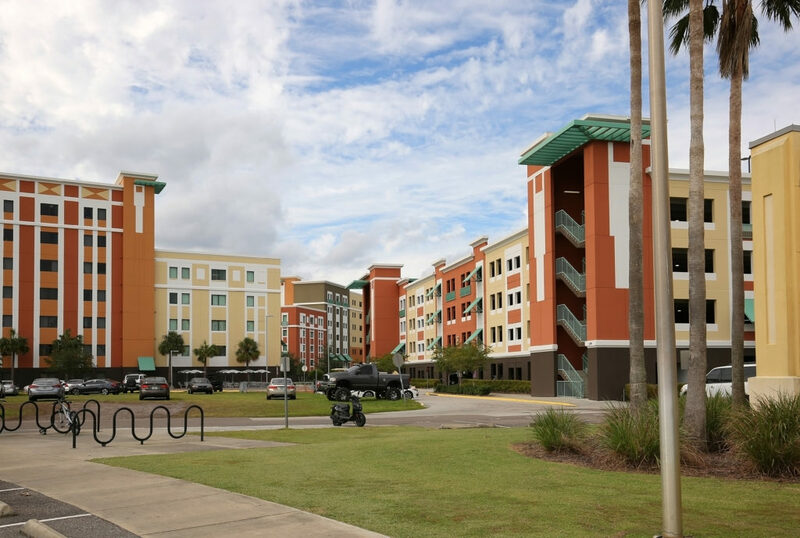 Student housing was once a niche of the commercial real estate industry, but now it has become its own sector completely and has experienced strong investment growth over the years due to a substantial increase in both foreign and domestic student enrollment. Student housing differs from the multifamily industry in that it charges by the bed or room rather than a single unit. Foreign investors made up a fifth of the total transactions in the student housing sector last year and we expect to see this number rise. The cost of student housing will rise as land acquisition, construction materials, labor, local entitlements, and federal and state regulation are priced at all-time highs. Student housing buildings are commanding these top-tier prices because there is such a high demand for these investment types. Since there are few affordable housing programs and tax credits developers can use to offset the cost of these projects, this also boosts the price of building student housing developments. The programs that developers can use often entail cumbersome and time-consuming experiences that often delay a project. Elaborate Fitness Facilities – We expect to see more student housing developments with fitness facilities that go beyond a traditional gym and become a place to socialize as well. Rooftop Amenities – These include social lounges, coffee bars, grilling areas, and other spaces that encourage community interaction. Outdoor Dining & Kitchen Areas – Today’s students want space to cook their own meals with neighbors and friends, so developers will offer large patio areas as additional dining spots or extended seating from a bistro or cafe to an outdoor space. Recreation Sports – These include tavern-style game rooms, air hockey, darts, video games stations, volleyball courts, basketball courts, and some have resort style pools and on-site golf simulators. With an increased interest in student housing properties by investors, both foreign and domestic, we expect to see more of these student housing properties being snatched off the market. Forbes reported that in 2016, student housing transaction volume totaled more than $9 billion, a 62 percent increase from 2015. That incredible growth has attracted many of the new players that have entered the space today. The increased demand for student housing properties compressed cap rates and created the competition for this formerly niche industry, making it an attractive investment that is still growing in attraction. This entry was posted in Ashby Real Estate Group News on December 12, 2018 by Lauren Henderson.